HP Probook laptop series is one of HP’s various laptop line-ups for business-minded persons. The Probook 470 G5 is the sixth iteration in a series of business-minded notebooks. This notebook is geared towards professionals who are always on the go and features some mouth-watering hardware components like a high-performance eight-generation Intel processor, long-lasting battery, among others. The HP ProBook 470 G5 is a large laptop, thanks to the massive 17-inch display that it comes with. Nevertheless, HP tried to make the notebook light and thin, which are essential for traveling business people. The chassis is partly made of metal – aluminum and silver – and is highly durable. As already pointed out, the ProBook 470 G5 is a slim and light for portability. The notebook weighs only 2.5 kg and has a footprint of 413.8 x 276 mm with a 22.5 mm thickness. The ProBook 470 is a large laptop and as such sports a massive 17.3 inches display. The panel is a Full HD one that offers a realistic viewing experience. The massive display has good brightness levels but a subpar contrast ratio. Color reproduction on this screen is somewhat on the average but can be adjusted via software calibration. A full-sized island-style keyboard with a number pad decks on the lower part of the HP ProBook 470 G5. Due to the large size of this device, there is enough spacing between the concave keys. In addition, there is a two-level backlighting for the keys for typing in the dark. A simple plastic touchpad sits at the bottom of the keyboard. The touchpad surface is smooth enough for uninterrupted gliding and highly responsive to touch. The ClickPad’s embedded buttons are durable thanks to the shallow travel. Also, the touchpad supports multi-finger gestures (as with virtually every other modern laptop). At the heart of affairs for the HP ProBook 470 G5 is an eight-generation Intel Core i7 CPU. The quad-core CPU is paired with a dedicated graphics chip – Nvidia’s GeForce 930MX – that has 2GB of dedicated Video RAM. Moreover, the system can switch between this discrete GPU and Intel’s integrated UHD Graphics 620, which is bundled with the Intel Chipset. Available RAM on this notebook is 8GB with 1TB of HDD storage space. To utilize this good hardware combination, the HP ProBook 470 G5 comes pre-installed with Windows 10 Operating System. The latest ProBook runs on a 48Wh Li-ion battery. The average-capacity battery should be able to take you through the day on minimum usage. On average, the battery should deliver about 8 hours of usage on a single charge. For connectivity, there is a good number of ports available on this notebook. Two USB 3.0 ports, one USB Type-C port, one HDMI port, one DisplayPort, a Kensington Lock, headphone/microphone combo jack, an SD card slot, one USB 2.0 port, a Gigabit Ethernet port, and interestingly, one VGA port. Wireless connections can be made via Bluetooth 4.2 or the Dual-Band Wi-Fi. Moving forward, the ProBook 470 G5 starts at around $1000, which is fair enough for all the goodies that come with it. The laptop is available for purchase on HP’s online store as well as on other leading e-retailers and offline sellers worldwide. 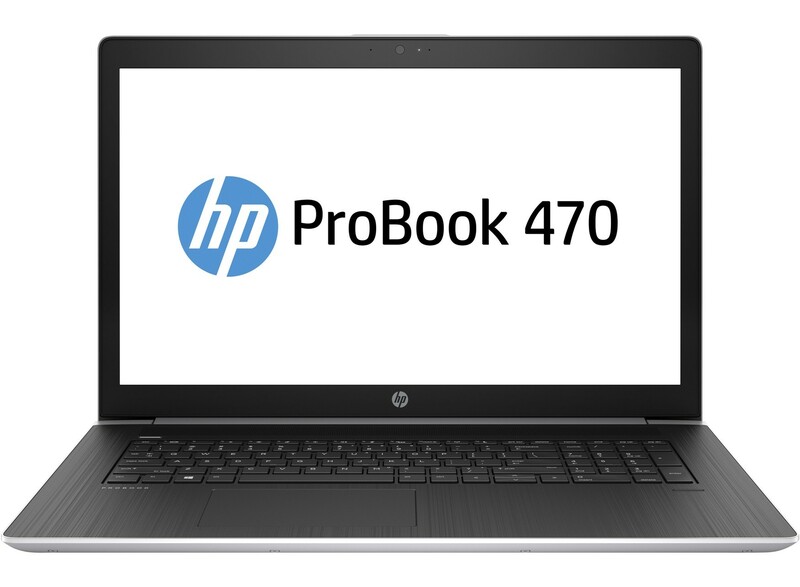 HP’s ProBook 470 G5 is a laptop aimed at businessmen and women who need a powerful notebook PC for their office work. However, owing to the massive screen and overall footprint, the laptop might not be for every traveler, albeit it is thin and lightweight. And considering that this notebook begins at around a thousand dollars, it is quite a deal.